Hinchliffe Holmes are delighted to offer for sale this wonderful three bedroom detached cottage in a very sought after location. Sitting on a plot of approximately 1/3 of an acre this home needs to be viewed to be fully appreciated. 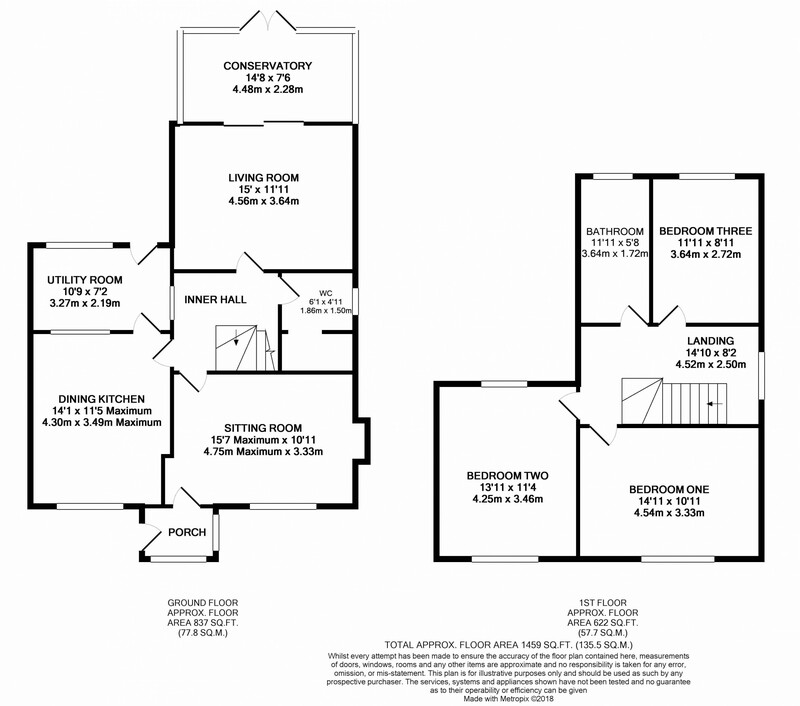 Internal accommodation comprises: porch, dining room, living room, kitchen/diner, conservatory, utility room, inner hallway, downstairs w.c and to the first floor three bedrooms, all benefitting from fitted wardrobes, and a family bathroom. Externally the generous plot allows parking for numerous vehicles and a detached double garage as well as various outbuildings including a summer house.Viewing is highly recommended. From our office on High Street, Head East on Apple Market Street towards Weaver Square. After approximately 0.1 miles turn left onto Watling Street. Then take a slight right to stay on Watling Street. After approximately 0.4 miles turn left to Castle Street. After approximately 0.9 miles turn right to stay on A559. Then turn left onto Beach Road. After approximately 0.7 miles at the roundabout, take the 1st exit onto Hodge Lane. After approximately 0.2 miles, the destination will be on the left. UPVC double glazed window to front, two double panelled radiator, fitted carpet, brick fireplace, brick hearth. UPVC double glazed sliding doors into the Conservatory, fitted carpet, double panelled radiator. Windows to both sides, double doors to rear, glass roof, carpet tiles. UPVC double glazed door to rear, UPVC double glazed window to rear, vinyl flooring, work surfaces with space for washing machine and tumble dryer below, space for additional fridge/freezer, wall mounted Worcester Bosch boiler, cupboards. Vinyl flooring, UPVC double glazed opaque window to side, wash hand basin with chrome taps, low level WC. UPVC double glazed window to the side, loft access, smoke alarm, fitted carpet, double panelled radiator. UPVC double glazed window to front, radiator, fitted carpet, fitted wardrobes with mirrored doors. UPVC double glazed window to front, radiator, fitted carpet and fitted wardrobes, UPVC double glazed window to rear. UPVC double glazed window to rear, fitted carpet, radiator and fitted wardrobes. Bath with shower over and glass shower screen, low level WC with dual-push flush, wash hand basin, UPVC double glazed opaque window to rear, vinyl flooring, double panelled radiator, airing cupboard. To the rear the large well-maintained garden has patio areas ideal for outside entertainment and is mostly laid to lawn with hedged boundaries to the sides and rear. There is a lovely Summer House and raised well stocked flower beds and a rockery with established plants and shrubs. There is a very large garden/storage shed with sliding door. The garden to the rear is fully enclosed and very private.